Do people mind if I revive this dead forum to upload some Joshi classics that aren't currently online at the usual places that I could locate (DM or Youtube)? No? Excellent! A few months ago, I ordered a few dozen older Joshi events, ranging from the mid-80s up to 2011 (I know 2011 isn't 'classic' but not a lot of Joshi from that time period is online). I think there are a lot of forgotten and hidden gems that aren't really discussed, and I hope to highlight some of the better matches I see (not all will be literally classics). The VQ won't always be great, some look like 8th generation VHS converted to DVD, but I will keep the quality as good as I can. First upload coming here in a bit, I just wanted to do this intro first Please note, all my uploads are set to 'private' but please share them if you want to, I only do that to keep away the copyright monster which sweeps DM on a regular basis. I don't know of a way to embed DM videos on this forum, so just click the link under the picture to open the video over on DailyMotion. I hope you have a metric ton of old JWP from 97-99! It really is varied, I grabbed a few events from each promotion during different eras to try to get a good overall idea of what all I had missed. Lots of huge moves as at this stage Asuka was wrestling a high risk style while Yokota was still great at being beaten down but never giving up. You can read my full review of the match and event here. Very nice, have any classic Dump Matsumoto stuff to upload? I have all the AJW Classics (well about 100) so I'll be sprinkling in some 80s AJW when she was wrecking the life of the Crush Gals on a weekly basis. I just have to check DM and youtube before I do since I don't want to spend time ripping/uploading a match that is already readily available (unless it has bad VQ and my version is better). I already had this one uploaded but I may as well put it here too! You'd be hard pressed to find a match with so much emotion from both the wrestlers and the crowd, pretty amazing and shows just how loved the Crush Gals were. Confirms my opinion that Dump was the greatest heel ever, no one else is even close. I've seen some of the best heat machines in the business and no one, but no one could work a crowd like that woman. She had people running in legit fear for their lives or crying their eyes out at what she was doing to their heroes, simply amazing. If we're talking lost joshi matches, there was a great NEO match between Ran Yu-Yu and Misae Genki once upon a time. It had to be in 2001 and I'm pretty sure it was at Kitazawa Town Hall. The tape that I had it on is probably melted in the attic by now. Low VQ but a good match and any Hair vs. Hair match I think should be somewhere online just for the emotion of them. This is not a forgotten match but it is a Classic that I don't think is currently online anywhere. This match won the Wrestling Observer 1995 Match of the Year, with much controversy in hindsight. It got trashed pretty good over at PWO, but you have to admire their stamina and having a match with an 'epic' feel. Cage match! 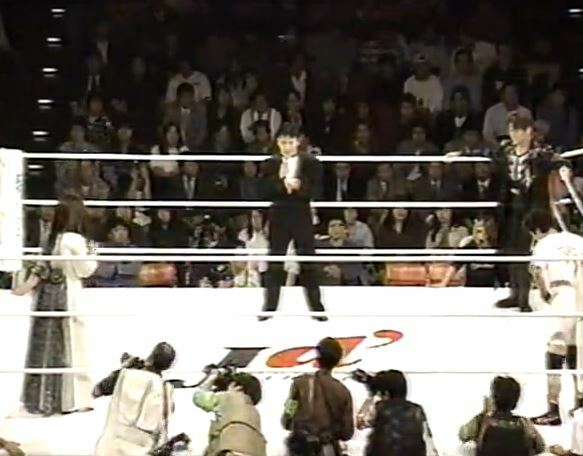 In AJW cage matches, you can't win by going out the door or pinfall/submission, a team only wins after both teammates have reached the floor by climbing over the cage. A wrestler that gets out of the cage can go back in if their teammate needs help, but then they have to leave the cage again to win. 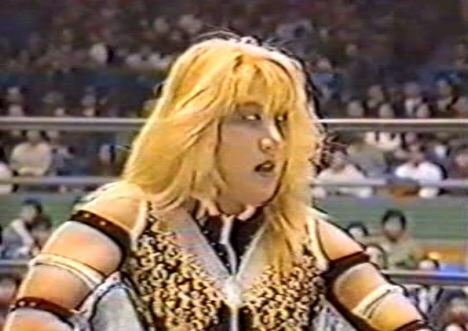 There is a massive backstory to this, but in a nutshell, Lioness Asuka came to GAEA in December of 1998 but instead of lining with her old partner Nagayo, she sided with the heel faction. That eventually led to this match, where if Nagayo lost, she would lose control of the promotion to Asuka. This was a huge match in Japan at the time, with the former partners wrestling against each other in a singles match for the first time in ten years. Even though both had returned to wrestling in the mid-90s they had generally stayed away from each other, so this was a pretty big deal. The event was held in Yokohama Bunka Gymnasium and has a sellout crowd of 6,500. This was Asuka's debut match in ARSION, after Aja Kong left the promotion. Huge backstory there of course, really just a fun match between two high-caliber wrestlers. An absolutely insane match, with the stretch run being one of my favorites ever. Cements Kandori as an all-timer in my book. I loved this match so much, lots of fire and emotion. And blood. 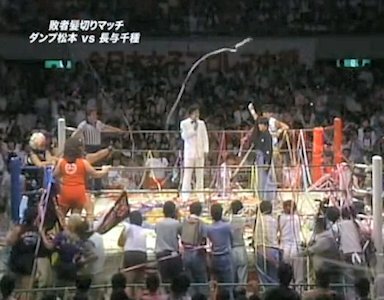 Bull Nakano & Akira Hokuto vs Combat Toyoda & Megumi Kudo from the FMW 3rd Anniversary Show. It's out there on YouTube but I put together the handheld footage with the FMW footage that basically cut the match in half so that people can watch the match in full. I added Nanae Takahashi and Kana vs. Yoshiko Tamura and Ayumi Kurihara in NEO on 12/31/09. Really fun match. Got a request. 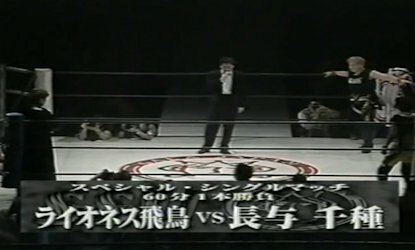 There was a Shimoda/Toyota vs Double Inoue tag title match on 6/22/1996. Haven't been able to find it online. Anybody got a link for it? ah, i forgot, it's on my Private DM list : Here We Go! That's it, thank you sir. This was the match that got me into joshi puroresu. It was included on a comp tape of various Japanese deathmatches, for some reason. 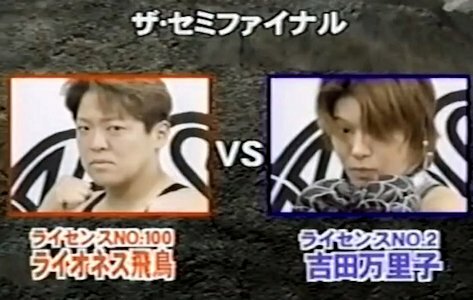 Anyone have Nakano/Aja vs. Hokuto/Yamada from 92? I've been trying to catch some of the better matches from AJW that year. Also is there anything worthwhile from JWP & LLPW from that year?